The Oyster 2 Seat High Back Sofa Set comes with a 7 year guarantee to give peace of mind for years to come. Manufactured using 100% Aluminium frames ensures that rust will not occur at any time. Water resistant seat and back cushions are included and only high quality foam and fibre fillings are used in these cushions. All seat cushions are zipped to allow for machine washing at 40°C, back cushions are dry clean only. All Nova Oyster products are manufactured using exclusive Duracore Rattan which has been specially designed to withstand all weather conditions including rain, snow, sun and frost. This set can be left outside all year round and only requires warm soapy water or a light jet wash to clean. Great value and speedy delivery! No hassle end to end. Easy ordering online to delivery of the product a week later by a friendly driver. 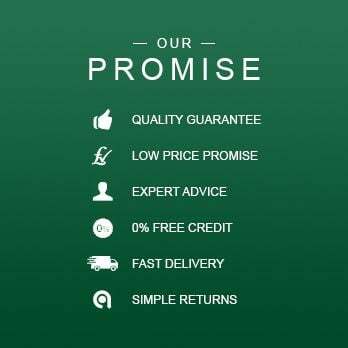 Would thoroughly recommend this company for value, quality and service.